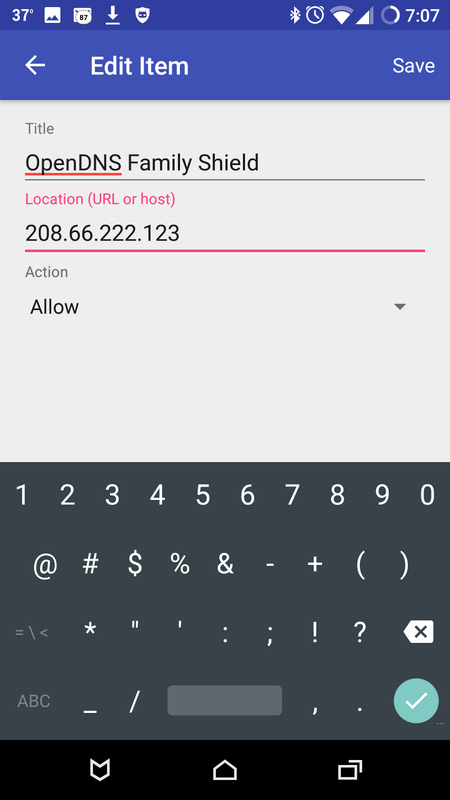 While it's easy to control access to certain websites on your home Wifi network, doing so on a mobile broadband network for mobile phones is much more difficult. 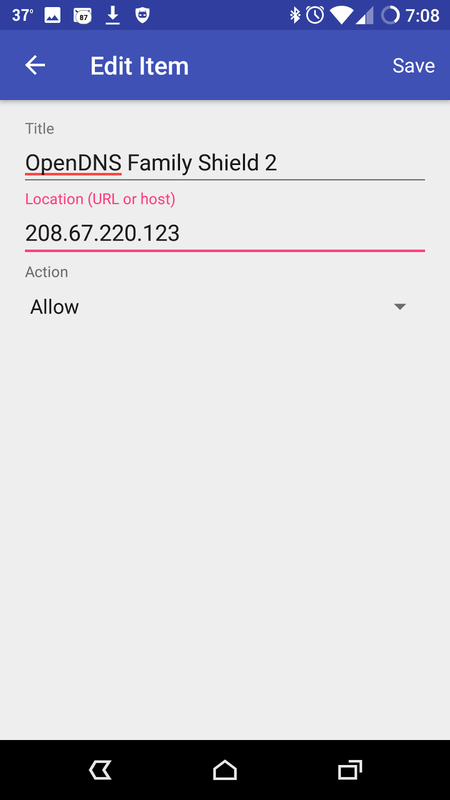 There are apps to monitor block website access to harmful websites (NetSanity, and others) and most I've seen charge you a monthly rate to do so. Keep reading to see how to block ads, adult content, and other harmful websites using free and open technologies. 3. Open F-Droid and search for "dns66". 5. Click install, then Run. 7. 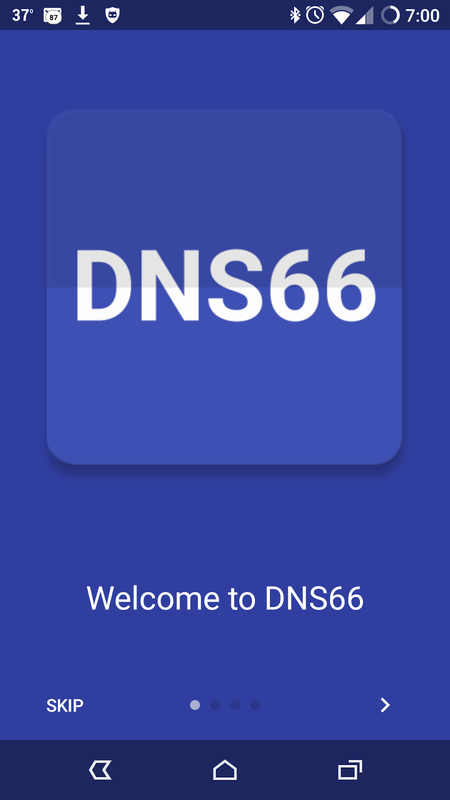 Go through the intro and select the "DNS Servers tab"
8. 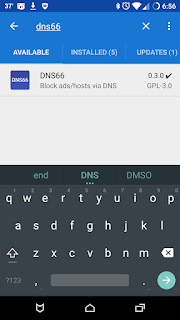 Select enable custom DNS servers. 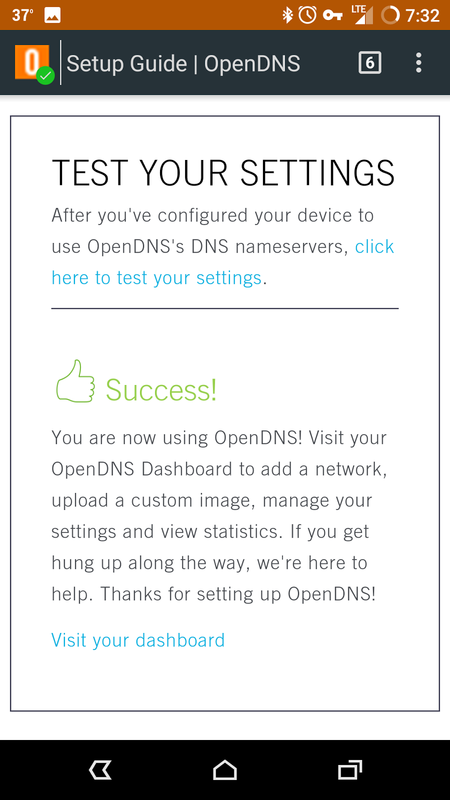 Swipe to remove all existing servers as we only want to use OpenDNS's servers (you can leave the blocked servers if you want). 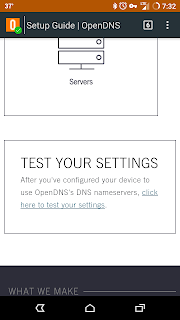 Note: These servers are coming from here: https://www.opendns.com/setupguide/?url=familyshield . There's several other options they provide as well. Feel free to use those. 12. 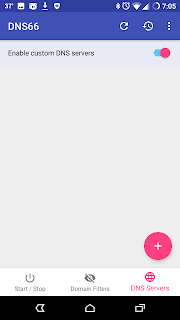 Finally, click the Start/Stop tab. 13. 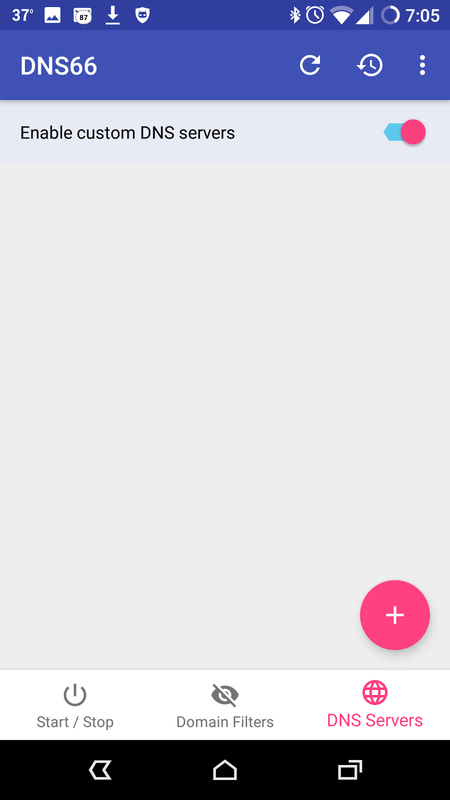 From the menu uncheck the "Show notification" (if desired). 14. 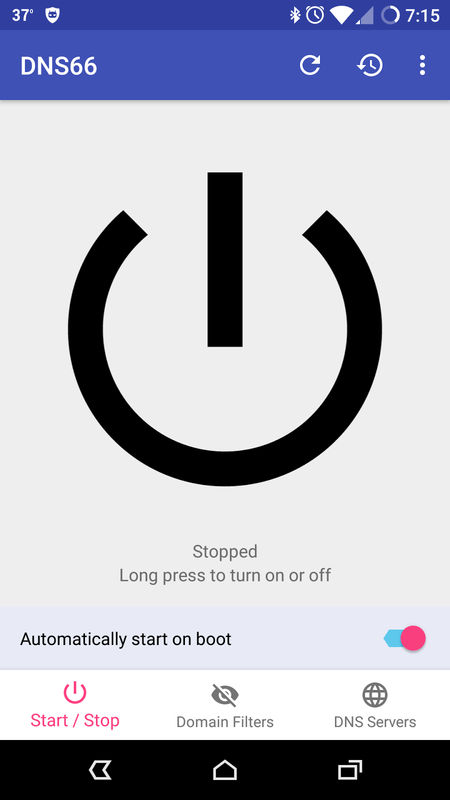 Now touch and hold on the Screen to turn it on and click Ok to the request. 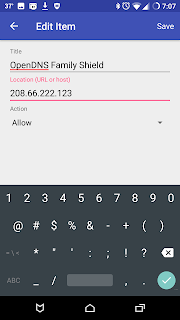 Showing the domain was blocked! And a headache saved! 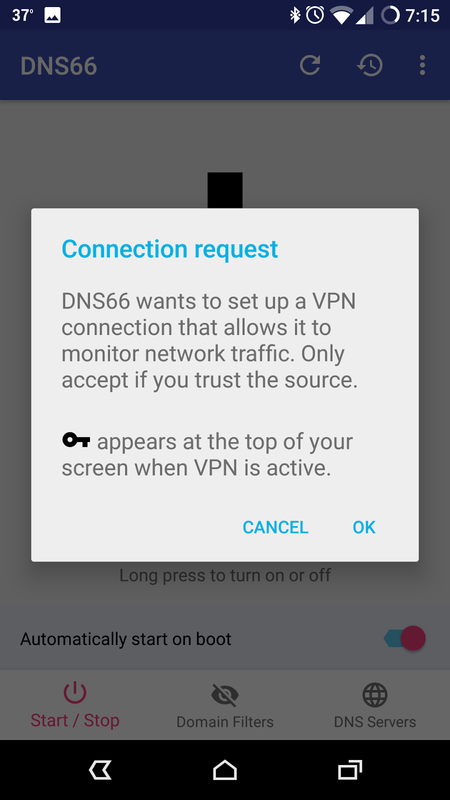 The app creates a VPN server then tells android to connect to it's own server (code is open source so feel free to dig through it yourself to verify). 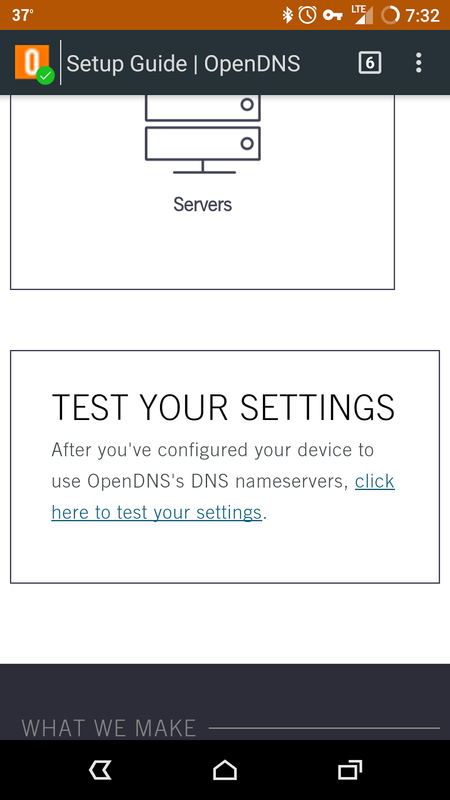 The VPN changes the default DNS settings (ie your service providers DNS) with the ones configured. 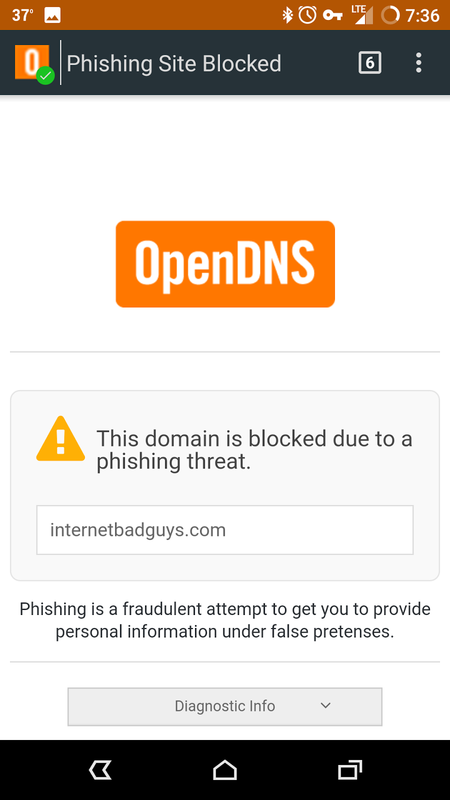 OpenDNS's servers then block requests to sites that are undesired. 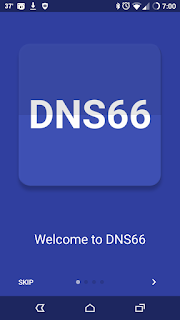 There are ways to get around DNS blocking if you understand how DNS works (look on wikipedia), I will not say how here. This method will NOT protect from those cases. However I've found this to work very well! 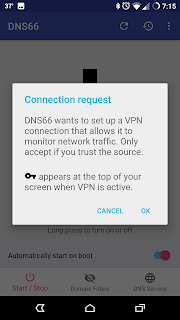 Also, you may have to disable this when accessing your home network on Wifi (or add your router's dns to the list). 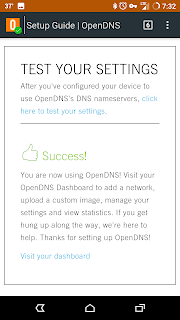 It is also suggested to follow the tutorials https://www.opendns.com/home-internet-security/ for setting it up on your wifi / home network router as well.